We have mentioned the folks at Adonit a few times here. They have a couple ‘Jot’ Styluses with an interesting clear tip for more precision writing and drawing. Recently we mentioned their bluetooth keyboard case for the iPad2. 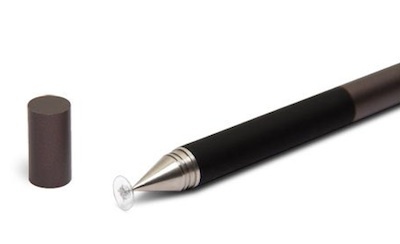 Today, we learned that Adonit has released a ‘mini’ version of their Jot Stylus. This isn’t a short little mini pen or a hollow light weight stick. Instead, Adonit has removed just a little bit here and there, leaving the right amount of weight/size and especially their special writing tip. Just a few dollars less expensive than the Pro Jot. 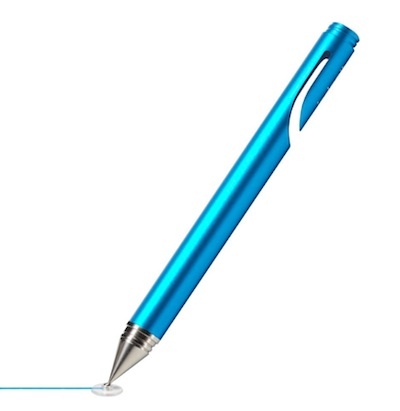 The Jot Mini… comes in a few colors. Interesting little pocket clip cut out. It’s nice to see the Mini still has the screw on cap that will screw on the other end of the stylus to avoid loosing it. As a reminder, the Adonit Jot Pro has the same tip and cap, but includes a rubber grip and a internal magnet. Instead of carrying your stylus in your pocket like the Mini, the Pro hangs onto your iPad2 with the Stylus to iPad magnets. Of course both stylus work great on the original iPad too.